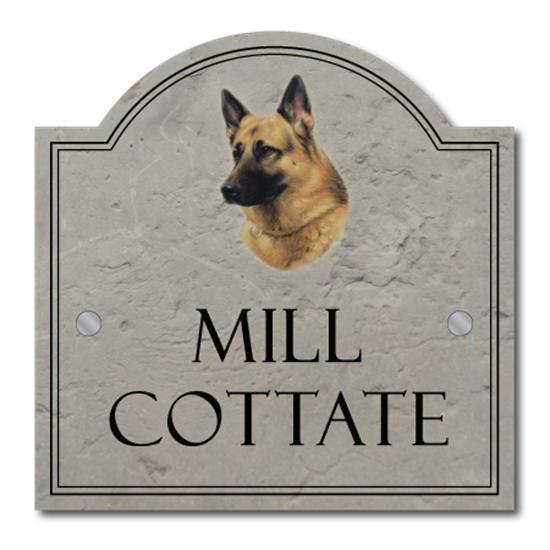 The sign is printed in the style of a traditional stone sign with an image of a German Shepherd. Personalised aluminium composite metal sign, any text you like. 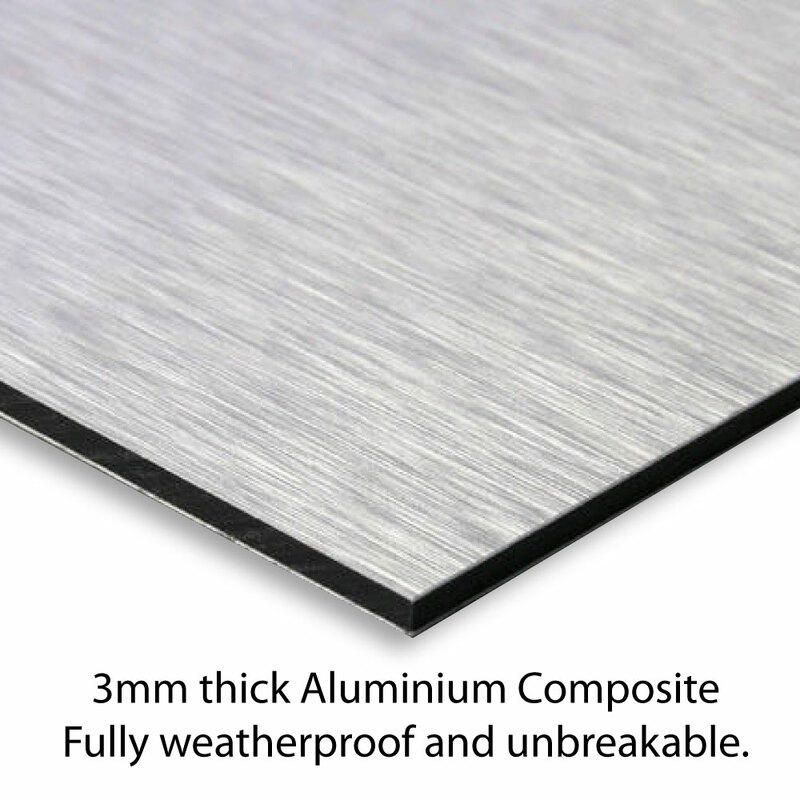 Fully weatherproof and unbreakable No maintenance required - No fading or weathering.